The recently unveiled made-in-Nigeria Hyundai Grand has been put to the test in Lagos. The car was test-driven through the busy road of Apongbon in Lagos Island to Western Avenue, Ikeja, Opebi and Third Mainland Bridge. 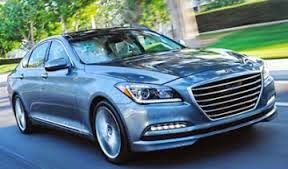 A statement by the company on Tuesday noted that the road test came three weeks after Hyundai Motors Nigeria Limited, a division of Stallion Group, unveiled the compact family sedan made for Nigerian roads. Hyundai Motors Nigeria presented two variants of the Hyundai Grand with five-speed manual and four-speed automatic transmission-powered by 1.25 Kappa Dual VTVT engine for the test drive. The Head, Sales and marketing, Hyundai Motors Nigeria Limited, Mr. Jatin Nadkarni, said, “It is our pleasure to put to the test the first made-in-Nigeria family sedan and we are convinced you and the entire patrons of this car will discover how pleasant the Hyundai Grand drives. The statement added that the car responded to every expectation with alluring cabin colour, textures and shape. “Crank the engine and you will be amazed at how the 1.25cc engine with either five-speed manual or four-speed automatic transmission gets off to a fantastic start without sacrificing the brilliant aerodynamic appeal that makes the car the best entry level sedan yet,” Nadkarni said. The statement indicated that in terms of protection, the Hyundai Grand does not compromise on safety especially the use of anti corrosive steel, ring structure application to enhance rigidity and body robustness. “With a starting price of N1.990m, the Grand may yet be one of the most affordable cars with extraordinary features in its class,” Nadkarni said.